John Elway in October. Credit: Ron Chenoy, USA TODAY Sports. With almost all of the big name free agents signed — or traded in the case of receivers Antonio Brown and Odell Beckham Jr. — the 2019 free agency period is mostly wrapped up. That makes now the perfect time to reflect on the moves made by the Broncos and their AFC West rivals to try to determine who had the best free agency period. Starting off with the division’s front-runner for now and the foreseeable future, the Kansas City Chiefs. The Chiefs entered the 2019 off-season with one clear objective, fixing an awful defense that finished 31st in total defense and passing defense, 27th in run defense, and 24th in scoring defense. The first thing Kansas City did was swap out aging free safety Eric Berry for the versatile Tyrann Mathieu. Mathieu will be able to help not only as an over-the-top safety but can play in the box, and has excelled at nickel cornerback in the past. For a defense that needs a little bit of everything, they got the right guy in Mathieu. While Mathieu has the potential to be a home-run signing, Kansas City’s other moves have likely only made the defense weaker. Although the Chiefs got good value in return for Dee Ford and Justin Houston’s contract was too expensive for his production, moving on from both in the same offseason has left the Chiefs with a huge void at edge rusher. Ford and Houston were the second and third-highest graded defenders on the Chiefs’ roster in 2018 according to Pro Football Focus. The duo also combined for 37 percent of pressures, 40 percent of quarterback hits, and 47 percent of sacks for the Chiefs’ defense in 2018. That is a ton of production walking out the door, and at pick No. 29 the Chiefs are well out of range to draft one of the high-end pass rushers in this year’s class. They’ll be relying heavily on free-agent signing Alex Okafor, who has only earned a Pro Football Focus grade above 70 once in his six-year career and has had four fewer sacks over those six years than Ford and Houston had in 2018 alone. Out of all the AFC West teams, the Chargers were easily the quietest in free agency, as Thomas Davis is the only new addition that will make an impact in 2019. Davis was an exceptional linebacker and leader during his 14 seasons with the Panthers, but his career is on its last legs. Davis will likely have a larger impact on the Chargers’ locker room than he will on the field. Although the addition of Davis and the re-signing of Perryman will add some much-needed depth at linebacker, the Bolts’ losses will hurt the team far more than their additions will help it. Despite being overshadowed by the trades of Brown and Beckham, Tyrell Williams was arguably this year’s best free agent wide receiver, and certainly its best deep threat. That loss will have a major impact on a Chargers offense that loves to air it out deep. Addae wasn’t a flashy safety for the Chargers like rookie Derwin James was, but he was a very reliable starter who played over 1,000 snaps in each of the last two seasons and earning a grade above 60 in each. Verrett is the most talented free agent to leave the Chargers, but his loss will likely hurt them the least. Since their move to Los Angeles, Verrett has played in just one game and has recorded just one tackle. When healthy, Verrett is among the league’s best cornerbacks, but he is arguably the most injury-prone player in the league. The Raiders’ approach to free agency was the antithesis to the Chargers’ as they arguably made the biggest splash of any team in the league. They kicked things off by getting Antonio Brown for only a third-round and a fifth-round pick, a terrific value. Even in a ‘down’ year by Brown’s standards, the star wide-out tallied 104 receptions for almost 1,300 yards and a career-best 15 touchdowns. The contract the Raiders signed him to may not look good in the long run, but he’ll have a massive immediate impact in 2019. However, losing their best guard and tackle will undoubtedly hurt. While Osemele and Penn’s play had declined in recent years, they were still much better options than second-year tackle Kolton Miller and guard Denzelle Good. The signing of Trent Brown should help alleviate some of those concerns, though when was the last time a former Patriot recreated (much less improved on) his play in New England elsewhere? To make matters worse, Brown who was cast-off by San Francisco less than a year ago is now the highest-paid offensive lineman in NFL history. With linemen becoming harder and harder to find, veteran talents like Brown or Ja’Wuan James cost a premium, but that price tag still seems too high. The contracts of Antonio Brown and Trent Brown will help the team be better in 2019 but could sandbag the Raiders in the future when the rest of the roster is actually ready to compete for a playoff spot. Similarly to the Raiders, the Broncos addressed their greatest positions of need while ultimately doing damage to their offensive line. Trading for Joe Flacco gave the Broncos an upgrade on Case Keenum for just $500,000 more, though it did point out how bad the contract Elway gave Keenum a year ago was. Ja’Wuan James did get overpaid, but as previously stated, that is the cost of free-agent offensive linemen in today’s NFL. The Broncos had tried to go with bargain bin right tackles in free agency in the past and ended up with Menelik Watson and Donald Stephenson. That position, which had been a turnstile for the Broncos in recent years, finally appears to be shored up. 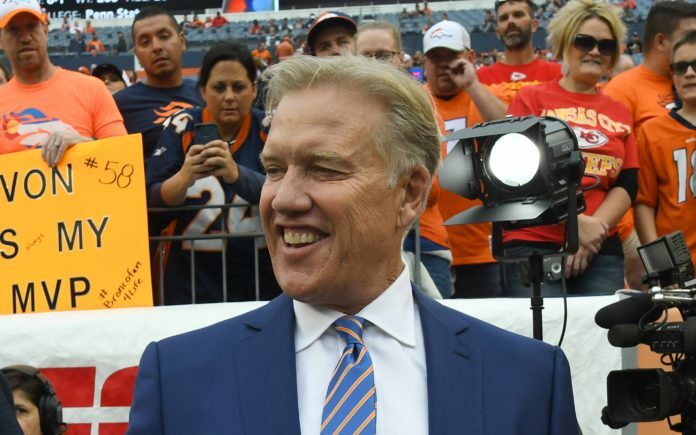 Lastly, general manager John Elway fixed the Broncos’ secondary which finished with the 22nd-best coverage grade in 2018 by signing Bryce Callahan and Kareem Jackson. The Callahan signing is Elway’s best in recent memory, as the young corner is already familiar with head coach Vic Fangio’s scheme and has gotten better with each year in the league. Kareem Jackson should also be an upgrade at cornerback, as he finished 2018 as Pro Football Focus’ fourth-best cornerback with at least 300 snaps. This gives the Broncos three cornerbacks in their top-ten with at least 300 snaps in 2018. No other team has more than one. While the Broncos’ moves have been largely positive, they did lose one of the league’s best centers in Matt Paradis and reliable guards in Billy Turner and Max Garcia. The mass exodus across the interior of the offensive line will force the Broncos to continue playing Connor McGovern at center and move Elijah Wilkinson inside to guard, where both struggled mightily in 2018. This presents a serious problem for Flacco, who unlike Case Keenum is immobile and has a bad injury history. For the Joe Flacco experiment to work in Denver, the Broncos will have to invest in interior lineman early in the draft.